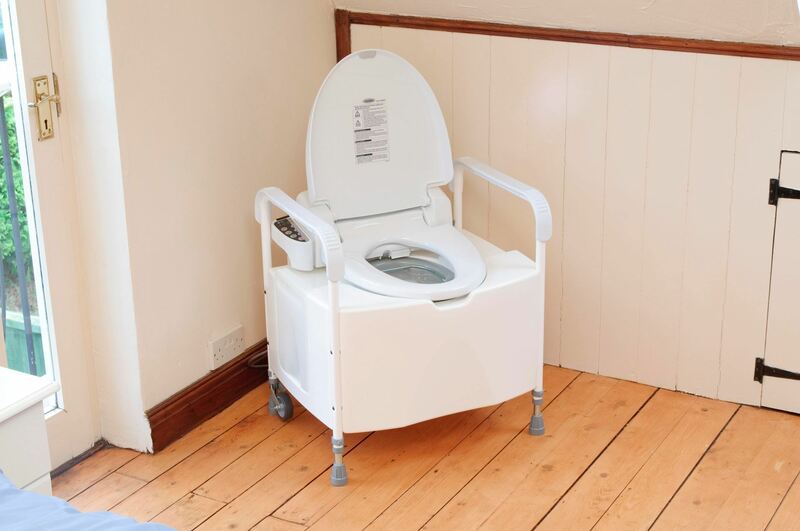 The Dignity Commode reduces the need for a carer, restoring dignity and independence by allowing people to clean themselves after toileting. 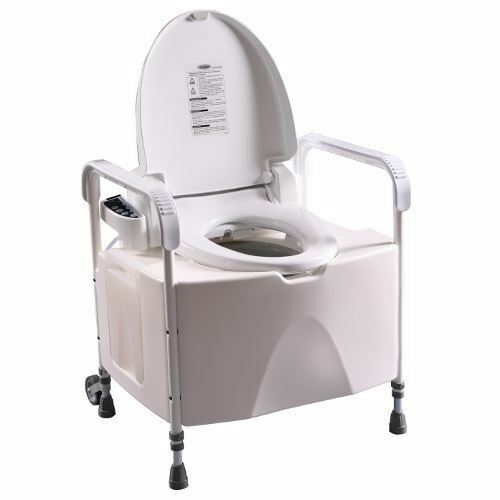 The commode warms the water to a comfortable temperature (adjustable by the user) and has a controlled water spray for personal cleaning and a warm air blower to dry afterwards. Waste collects in the commode pan for easy disposal and is easy to clean as it is made from hygienic white plastic and plastic coated steel. The electronic bidet toilet then unclips from the main body so that the commode base can be cleaned separately. Easy installation allows the commode to simply plug into a standard power socket and has a small water tank on the side for refilling. It is portable and can be locked in place for stability. Water reservoir holds 3.5 litres of water, enough for 2-3 uses.